Benford's law states that the leading digits of many data sets are not uniformly distributed from one through nine, but rather exhibit a profound bias. This bias is evident in everything from electricity bills and street addresses to stock prices, population numbers, mortality rates, and the lengths of rivers. Here, Steven Miller brings together many of the world's leading experts on Benford's law to demonstrate the many useful techniques that arise from the law, show how truly multidisciplinary it is, and encourage collaboration. Beginning with the general theory, the contributors explain the prevalence of the bias, highlighting explanations for when systems should and should not follow Benford's law and how quickly such behavior sets in. They go on to discuss important applications in disciplines ranging from accounting and economics to psychology and the natural sciences. The contributors describe how Benford's law has been successfully used to expose fraud in elections, medical tests, tax filings, and financial reports. Additionally, numerous problems, background materials, and technical details are available online to help instructors create courses around the book. 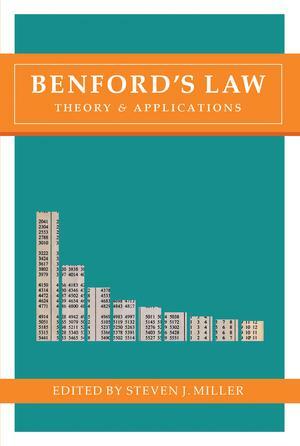 Emphasizing common challenges and techniques across the disciplines, this accessible book shows how Benford's law can serve as a productive meeting ground for researchers and practitioners in diverse fields.